Radio420™: Caskey Announces Summer 2019 BLACK SHEEP 4 Tour Dates! 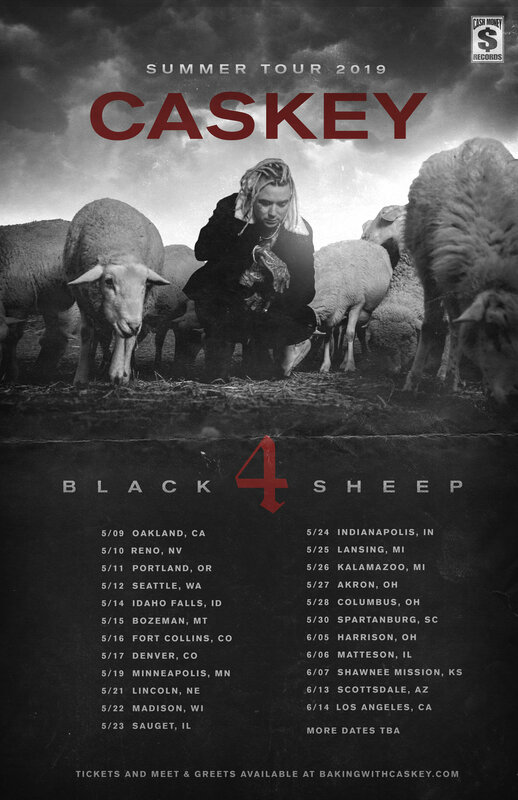 Caskey Announces Summer 2019 BLACK SHEEP 4 Tour Dates! Have you always wanted to see Orlando, Florida’s very own Cash Money emcee Caskey kill it live, but work got in the way or the show just crept on ya last minuet and it sold out?! Well you have another chance on finally witnessing Caskey murder the stage night after night live this Summer! That’s right! Caskey’s “Black Sheep 4” Tour kicks off May, 9th in Oakland, California and more tour dates will be added beyond June, 14th in Los Angeles, California. VIP will also be available! Check the official “Black Sheep 4” tour flyer below!